For decades, Excellent Plumbing has been providing professional drain cleaning services in the Frederick County, MD area. We understand the frustration that comes along with clogged drains and pride ourselves on quickly responding to your request for drain cleaning services. 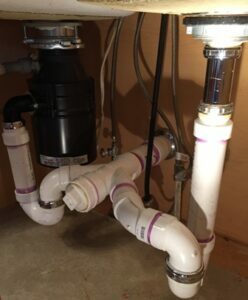 If you find you have a clogged or slow running drain in your toilet, sink or tub, you may have tried a host of home solutions without solving the problem. Our expert plumbers use the latest technology to determine the root cause of the clog. Various materials can cause your drains to clog such as grease, soap, toilet paper, toothpaste and more. We understand the inconvenience of clogged drains and take every step to quickly resolve the problem. We are committed to solving your clogged drain issue to your satisfaction. Call Excellent Plumbing today at 888-502-8797.